So clearly I wanted to start the year off with a bang by doing something mind blowing. Then I realised I was busy, quite tired and had done the minimal amount of planning. So I went with a straightforward thing I’ve never done and added the interest element of asking my daughter to teach me it. Crochet. “What are you doing, I have no clue” (at this point she was singing ‘Baby Blue’ by Grace Petrie as she thought the lyrics were appropriate). It was generally quite a positive experience apart from when I got cramp in my hand. 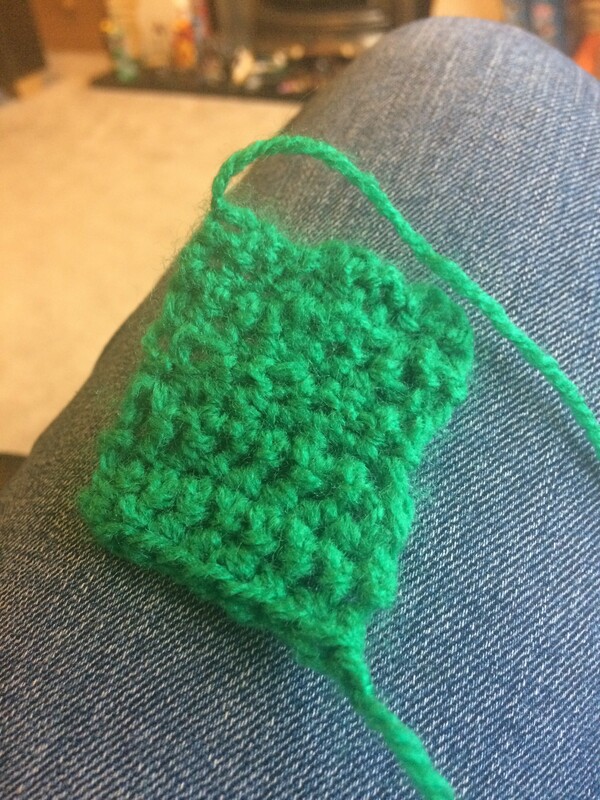 Once I’d shaken it off I made some limited progress and made a very small wonky green square. Ideal as a blanket for a borrower. Epic. It wasn’t as mind boggling as I thought it would be. If I wasn’t afraid of ending the year having taken up 52 new hobbies I might be tempted to continue. Not that the support I’d inevitably need could be relied upon for long. T may be a very patient 12 year old but after fifteen minutes she got bored and wandered off to upcycle something.